Welcome to the Exciting Windows! by Window Covering Gallery Blog. We just love decorating and creating custom window treatments. Here on our blog, we'll be sharing up-to-date information on the latest trends in custom draperies, curtains, cornices, valances, blinds, and shutters. Basically anything that has to do with window coverings and making your house your home. Have a question? We'd love to year from you. Just send us an email or give us a call. Adding rustic window treatments to your home is a great way to bring a little bit of nature inside. A contemporary rustic style uses nature-inspired colors and textures to add organic warmth to areas in your home. Windows offer the perfect opportunity to brighten darker rooms using a touch of nature. There are many simple ways you can use rustic styles by adding window coverings to your home. Plantation shutters are one of the most popular options when choosing rustic window treatments. Now, the shutters are available in a number of different paints and stains to easily match them with your room’s current décor. Plus, you can choose those that have added rustic features, like wood beams and stone facings. Not only will the plantation shutters look great, but they are functional and easy to use. 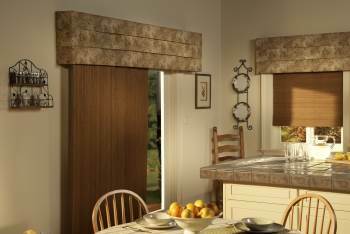 Picking out window treatments for your home is exciting. A simple change of your coverings can really freshen up your home, which makes us all too eager to choose a window covering. 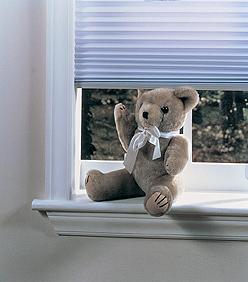 This eagerness often becomes your own worst enemy, causing you to make common mistakes when buying window coverings. However, if you take your time when choosing the best window coverings for your home, you’ll avoid these common pitfalls to create a beautiful and functional look. Have you ever heard the saying, “you get what you pay for?” This is especially true when choosing window coverings. By trying to cut costs, you not only compromise on the quality of the covering you get, but the appearance as well. Well-made window treatments not only look better, but are made to last, while also being easy to clean and more energy efficient. While quality coverings may cost more upfront, they are actually a long-term investment. Curtains are an amazing way to enhance the look of a room, but common mistakes when hanging the curtains results in a disastrous look. Poorly hung curtains will turn a completely stunning room into disarray because the curtains will stand out…and, not in a good way. Whether intentional or not, hanging the curtain rod too low will make the curtains stand out like a sore thumb. You generally want to place the rod ½ to 2/3 of the distance from the top window frame to the ceiling to make your room look taller by lifting focus to the rod. When hanging curtains or drape panels, it’s easy to choose the incorrect length. Generally, there are three looks people try to achieve with long curtains, which are the curtains floating right above the floor, “kissing” the floor, or puddling on the floor. Many hang the rod lower trying to get the curtains the right length, but this makes them obviously disproportionate. Professional window measuring will ensure you get the exact look and length you want. 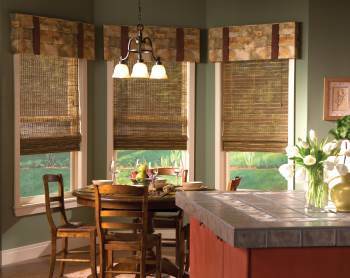 One of the best features of window treatments is not just their look, but their ability to help conserve energy. Now, there are many different types of window coverings to reduce heat loss during winter while reducing incoming heat during the summer. Using a variety of different materials and styles, you’ll make your home more energy efficient without compromising the look of a room. The most popular choice for energy efficient window coverings are drapes. Drapes give the stylish look you want while helping control your indoor temperatures. Not all drapes have the capability to conserve energy, and their ability to maintain heat loss and gain depends on several factors. The fabric you choose will determine how well your drapes will work in terms of their energy performance. 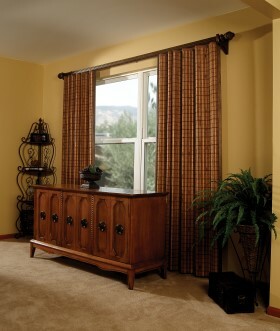 Picking window treatments for corner windows can be a challenging task. With the windows right next to one another, you want the covering to compliment both windows without making the corner look awkward or bulky. Although it can be challenging to choose window coverings for corner windows, it’s not impossible. If the windows are identical to one another, you want to use the same styles and fabrics for a unified look. Don’t use two separate styles or completely different patterns and colors because it will cause the room to look cluttered and detached. Valences are a simple solution to dress up corner windows with matching valances to draw attention to the windows. 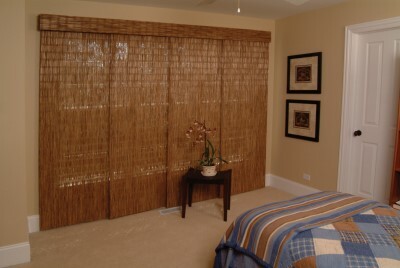 If you want to add a little privacy or have the option to control lighting, add sheers for a fresh look. Adding modern window treatments to your kitchen instantly brightens up the space and transforms the overall feeling of the room. With a modern design, you’ll draw attention to the kitchen’s windows, making them an icon of the room for a beautiful balance of style and class. Depending on the location of your window, you need to be very careful with the material you choose. For example, if your window is by the sink or stove, fabrics will soak up spatter and cooking odors, so you’ll need a material that’s easy to clean. Many modern kitchens use patterns that promote symmetry, like straight lines. Sleek lines look great and compliment modern appliances, like stainless steel and other metallic surfaces. When choosing a pattern, remember that a modern feeling is simplistic and clutter-free. Avoid choosing “busy” patterns, bold colors, or bulky fabrics.